Last September, Aston Martin revealed plans to put one of its most legendary models back into production. Now nearly seven months later, it's gotten down to the nitty gritty of actually building them. The car in question is the DB4 GT Zagato – a lightweight, rebodied sports racer designed to take on the Ferrari 250 GTO and the first in a long and distinguished collaboration between the British automaker and the Italian coachbuilder. It remains such a beautiful icon that Aston has twice before put it back into limited production. That makes this the fourth run that Aston will undertake. Though initial plans called for 25 units, the manufacturer initially built only 19. It built another four in 1988, and completed the last two in 1992. With those 25 original chassis now long since completed, this time they're being made as "continuation” cars – built from the ground up at the old workshop in Newport Pagnell, to original specifications, but on new frames. The only notable concession to modernity that Aston is allowing its craftsmen is the use of a "digital styling buck” to ensure top-quality bodywork. "We are bringing all of our hand-craftsmanship and expertise to bear in building these nineteen Continuation cars, sympathetically incorporating the very latest engineering advancements and performance enhancements, but remaining true to the purity and authenticity of the original design,” said Paul Spires, head of Aston Martin Works. 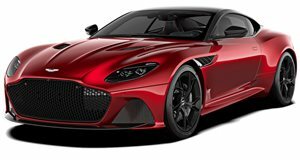 As with the original, Aston will only make 19 examples of the continuation cars, and they'll only be sold – at £6 million (or about $7.8 million) a pop, plus taxes – together with a new DBS GT Zagato as part of the DBZ Century Collection.